Are you getting tired of these swing cards? I'm not, I love them. 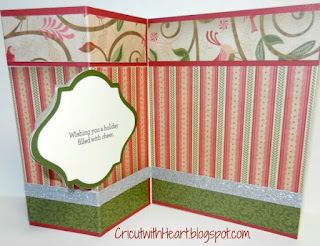 The are so simple and fun to make!!! This is number 3 of nine different swing cards on this one button on the Artiste Cartridge. There are 700 images on this cartridge-unbelieveable!!! 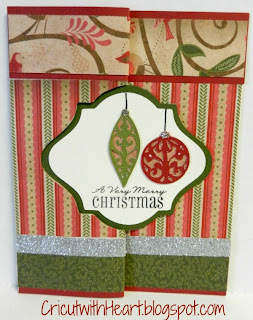 So watch for six more swing cards coming soon (= For this card we used the new Christmas paper from Close to my Heart, Pear and Partridge plus the new Silver Shimmer trim. I hope you like it. Jus found the "Swing" cards. Love them. 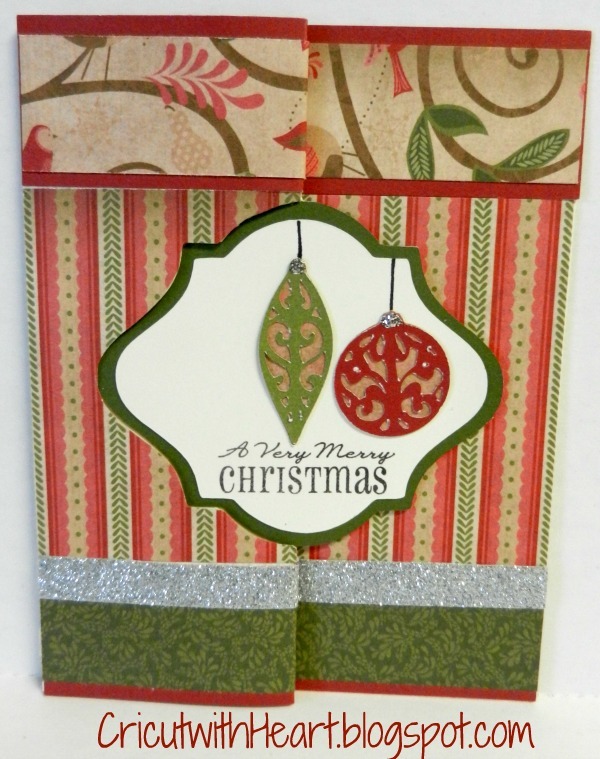 Do you have a video on this Christmas swing card? Keep them comming. Thanks.